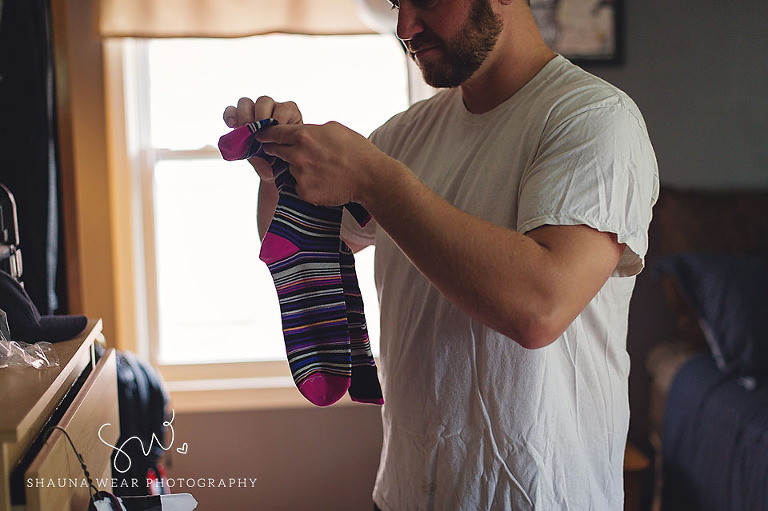 Jordan and Gabe were married last month on a beautiful, fall Michigan day and I was there to capture it all. One of my favorite weddings of the year! 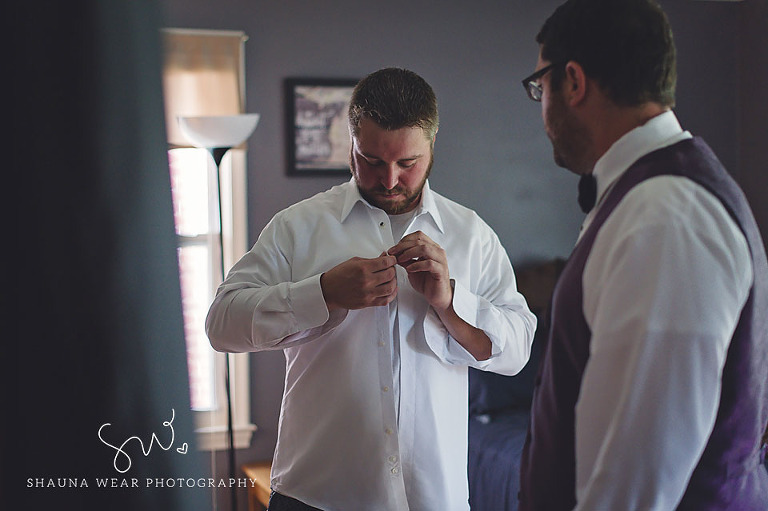 Perfect weather, plenty of time for pictures, a super awesome bridal party, gorgeous details and… Walter! (their adorable doggy). Thank you so much Jordan and Gabe for letting me be a part of your beautiful wedding day! I am so happy for you both and wish you laughter and happiness throughout your long lives together!! Congrats! The bridesmaids looked beautiful in their matching shirts! Jordan carried her Grandmother’s watch and her Great Grandmother’s necklace attached to her bouquet. 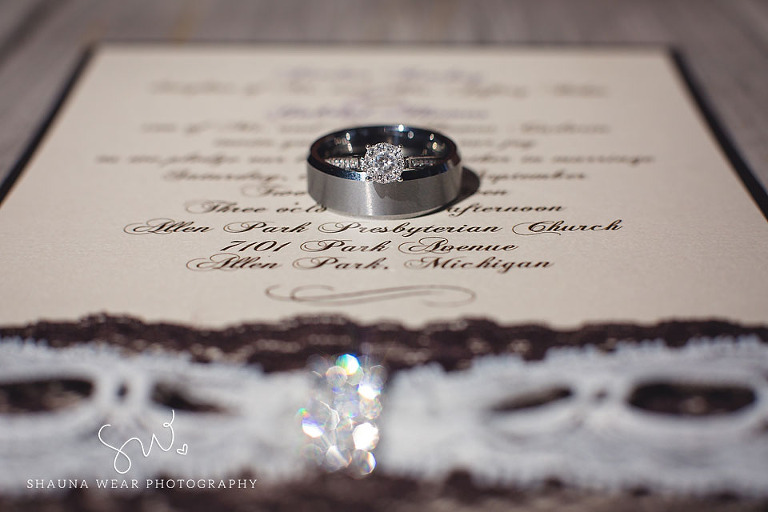 Their custom made invitations were gorgeous! Right before the ceremony, Jordan received a hand written note from Gabe… So she hurried writing one herself; complete with a small notepad and purple crayon! The day would not have been complete without stopping at home in-between the ceremony and reception for some quick pictures with Walter! Jordan and Gabe held up photos of their own parents on their wedding days. Congratulations again Jordan and Gabe! Thank you for letting me photograph one of the most important days of your life!